The Solar Hen House Lighting kit 2 is designed for 20ft x 8ft hen houses located where mains electricity is unavailable, the artificial light this kit produces help to maintain hens egg production through the winter months. 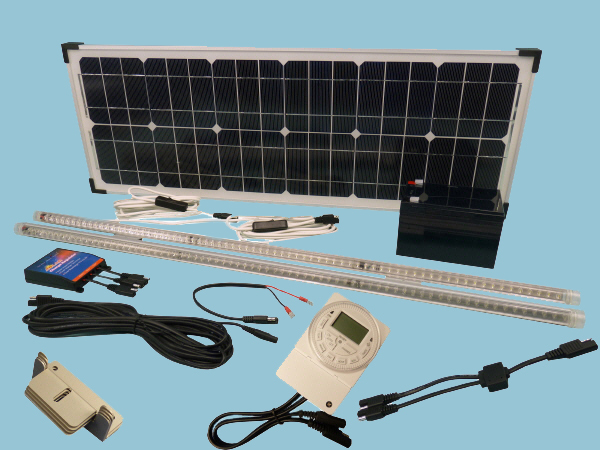 The kit comes with connectors attached to the cables and solar panel, the timer comes pre-wired for quick and easy set up. Installation instructions and a yearly lighting guide included.